Stephen Kelly Archives - Joelle Delbourgo Associates, Inc.
German bobmers are arriving daily, seeking to crush England. But in a rural Hampshire village, things appear quiet, until an elderly loner, Will Blackwell, is brutally murdered. The killing bears the hallmarks of a traditional witch vanquishing, and indeed, local legend claims that as a boy, Blackwell made a deal with the devil. Not long after, a young woman carrying the illegitimate child of a fighter pilot and a local drunkard are slain. 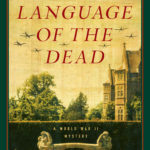 As the Germans continue their relentless attack, Inspector Lamb rushes to solve the crimes. Does the killer’s motivation lie in the murky regions of the occult? Stephen Kelly is an award-winning writer, reporter and newspaper columnist. German bombers are arriving daily, seeking to crush England. 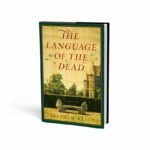 But in a rural Hampshire village, things have remained fairly quiet–until an elderly loner, Will Blackwell, is brutally murdered. The method of his killing bears the hallmarks of the traditional vanquishing of a witch, and indeed, local legend claims that as a boy, Blackwell encountered a ghostly black dog sent from the devil who struck a bargain for Blackwell’s soul. 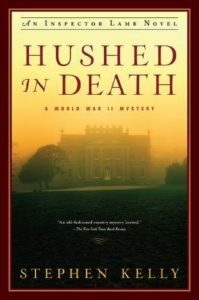 Not long after the murder, a young woman who is carrying the illegitimate child of a fighter pilot also is violently killed; then a local drunkard ends up dead in an abandoned mill. As the Germans continue their relentless attack, Detective Inspector Thomas Lamb must solve the crimes. Do the killer’s motivations lie in the murky regions of the occult? 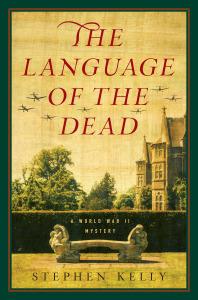 Love this beautiful cover that Pegasus designed for Stephen Kelly’s debut mystery, THE LANGUAGE OF THE DEAD, the first in a series of Inspector Lamb mysteries that is set in an English village during World War II.